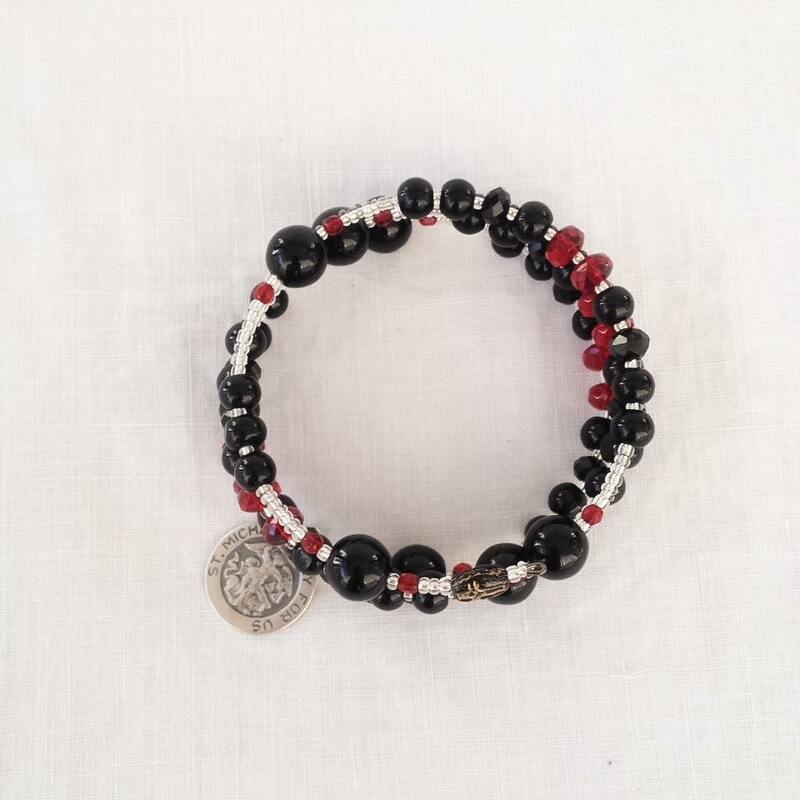 A great way to show your pride and support and a great reminder to pray for our loved ones, this Wrap-Around-a-Rosary bracelet begins with a black bead with a gold crucifix stamped on it. 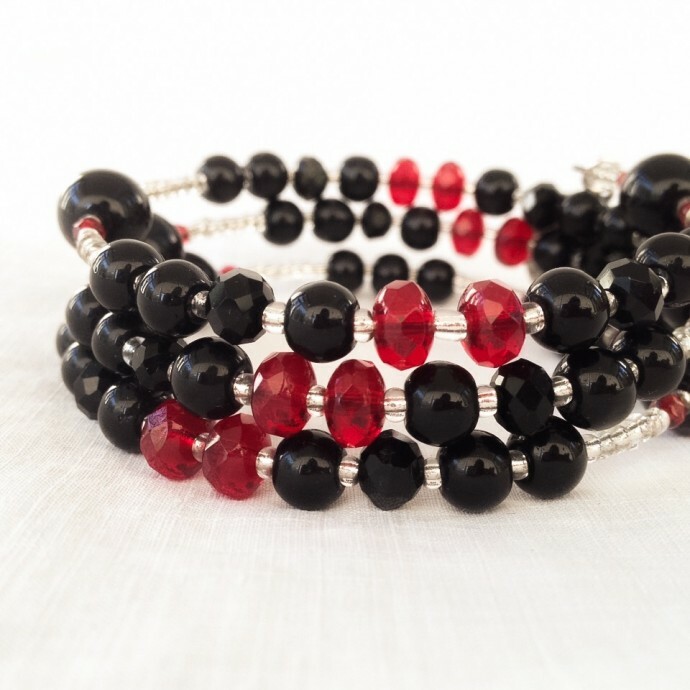 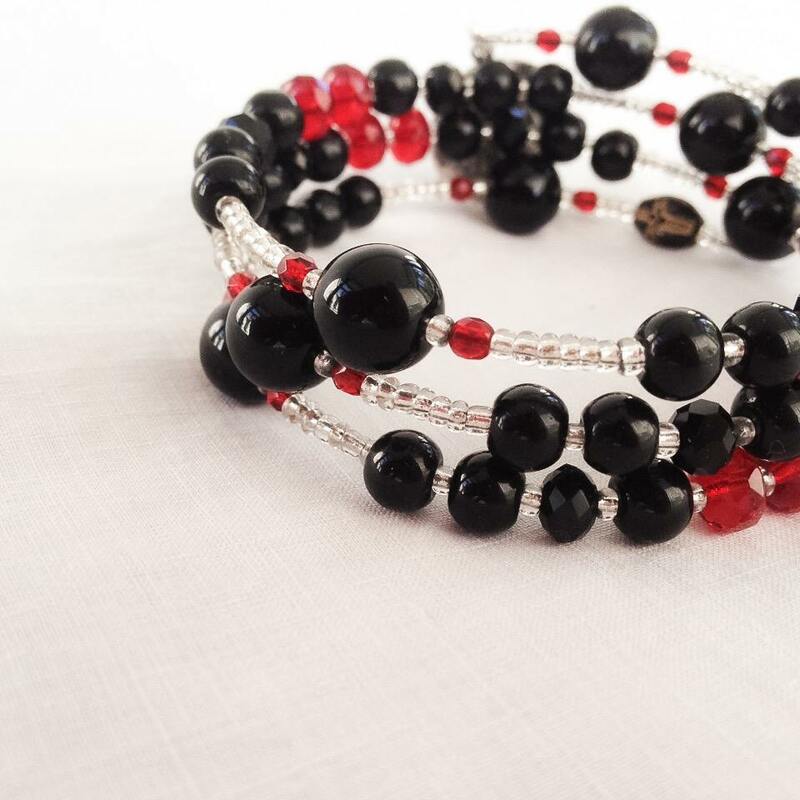 The body of each decade uses jet black glass beads in 6mm round and crystal rondelle, and the thin red line in the middle of each decade is represented by two transparent ruby red crystal beads. 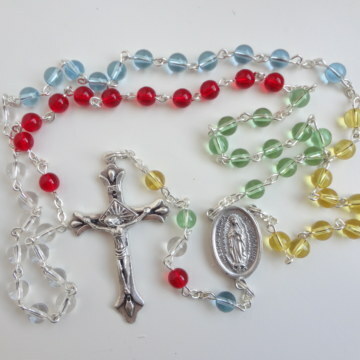 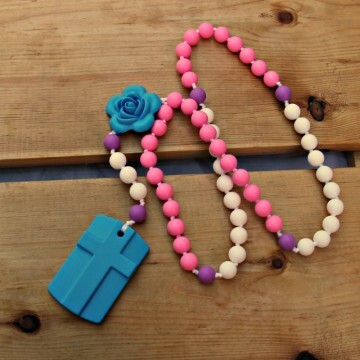 The Our Father beads are 10mm black rounds set apart by tiny red crystals. 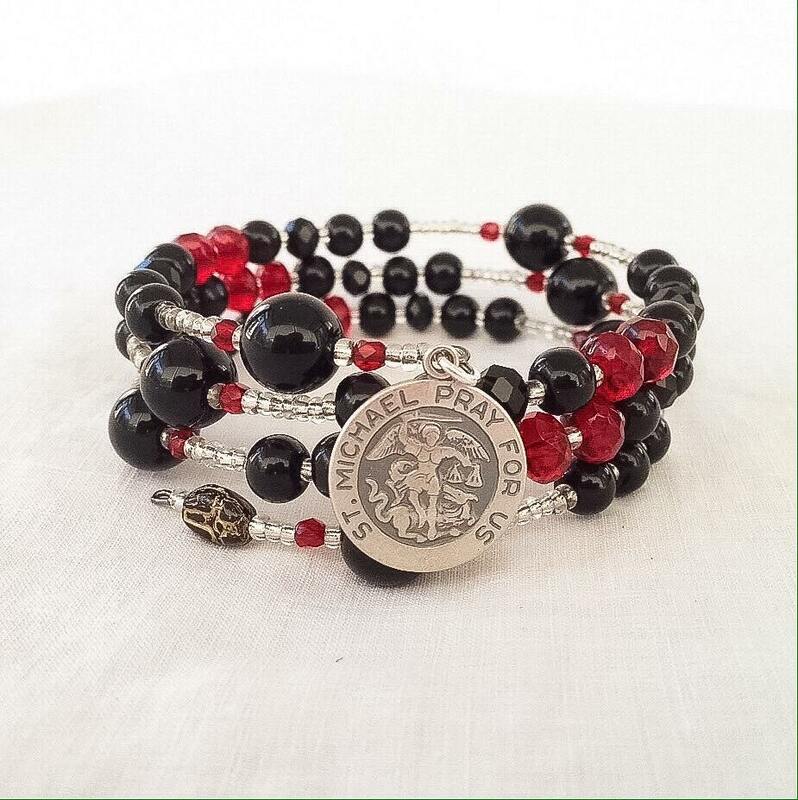 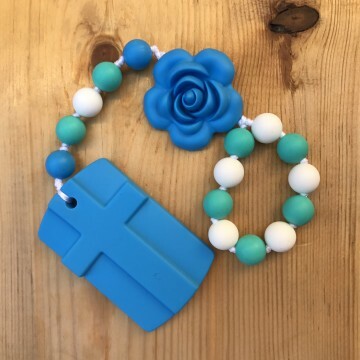 You have the option of adding a silver plated Saint Michael charm or St Florian charm.